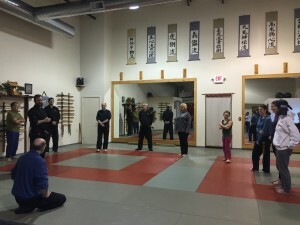 Discovery Martial Arts offers it’s services to not only our students, but our community as well. Whether you are a business owner looking to build a stronger team while promoting wellness, or head of a small group seeking self protection training, we have what you need to need to make a memorable and positive training event. To learn more about what we can do for your organization, you can fill out our inquiry form below and we’ll find a way to get started! What is your estimated group size? What is your event's goal?